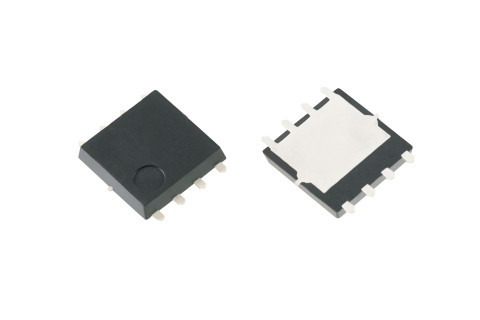 Toshiba Electronic Devices & Storage Corporation (“Toshiba”) has released two new MOSFETs “TPHR7904PB” and “TPH1R104PB” housed in the small low-resistance SOP Advance (WF) package, as new additions to the automotive 40V N-channel power MOSFET series. Mass production starts today. Fabricated using the latest ninth generation trench U-MOS IX-H process and housed in a small low-resistance package, the new MOSFETs provide low on-resistance and thus help reduce conduction loss. The U-MOS IX-H design also lowers switching noise compared with Toshiba’s previous design (U-MOS IV), helping to reduce EMI (Electromagnetic Interference). The SOP Advance (WF) package adopts a wettable flank terminal structure, which enables AOI (Automated Optical Inspection) after soldering. Provides a maximum on-resistance, RDS(ON)max, of 0.79 mΩ from the use of the U-MOS IX-H process and the SOP Advance(WF) package. Low-noise characteristics reduce electromagnetic interference (EMI). Available in a small low-resistance package with a wettable flank terminal structure. Follow the link below for more on MOSFET line-up. *Information in this document, including product prices and specifications, content of services and contact information, is current on the date of the announcement but is subject to change without prior notice. Toshiba Electronic Devices & Storage Corporation combines the vigor of a new company with the wisdom of experience. Since being spun off from Toshiba Corporation in July 2017, we have taken our place among the leading general devices companies, and offer our customers and business partners outstanding solutions in discrete semiconductors, system LSIs and HDD.